Still chugging away on the botanist project! Now I've been working on modeling two types of flowers - roses and snap dragons. First, the roses. 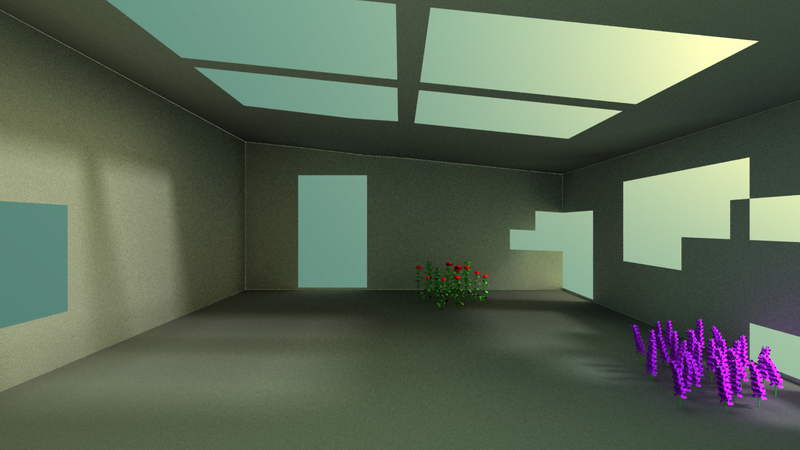 I'm not sure why, but the environment light isn't really working with the flowers (either type, as you'll see in a second). That's okay though, because we would have to light the different flower groups separately anyways. And now for the snap dragons. This is more WIP-y, but I think it's on the right track.